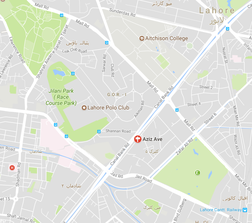 We are excited to announce that we have now started our operations in Lahore / Pakistan. Our partners Ali Aga, Ahmed Hassan and Abid Aziz will enter the Expandeers office at Aziz Avenue beginning of August. "A market with over 200 million people cannot be neglected" says Michael Fisahn-Reinhard, co-founder of Expandeers. "With Ali, Abid and Ahmed we have an extremely experienced and very well connected team of senior experts who certainly add a high value to Expandeers Global Network", he added. Gerrit Stroomann, also founder of Expandeers and responsible for Marketing topics, would also like to point out that the seniority and expertise of the partners will increase credibility of the network greatly. He also mentioned that Ahmed Hassan not only acts as a successful entrepreneur but also is Vice President of the Faisalabad Chamber of Commerce. "We are glad to have these three high calibre managers aboard", Gerrit Stroomann is quoted. Welcome to Expandeers Ali, Abid and Ahmed, and welcome Pakistan to Expandeers!